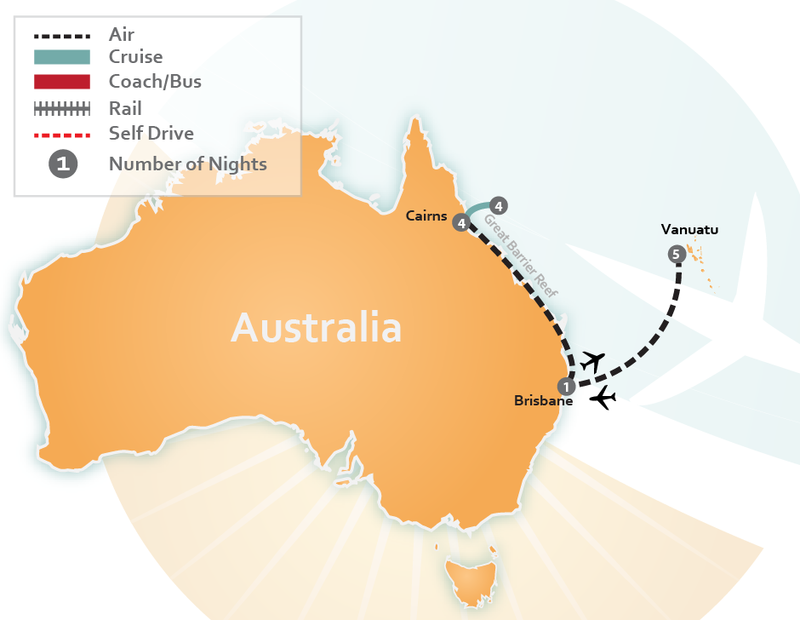 Looking to travel to the Land Down Under but not too sure what to do while you’re there? 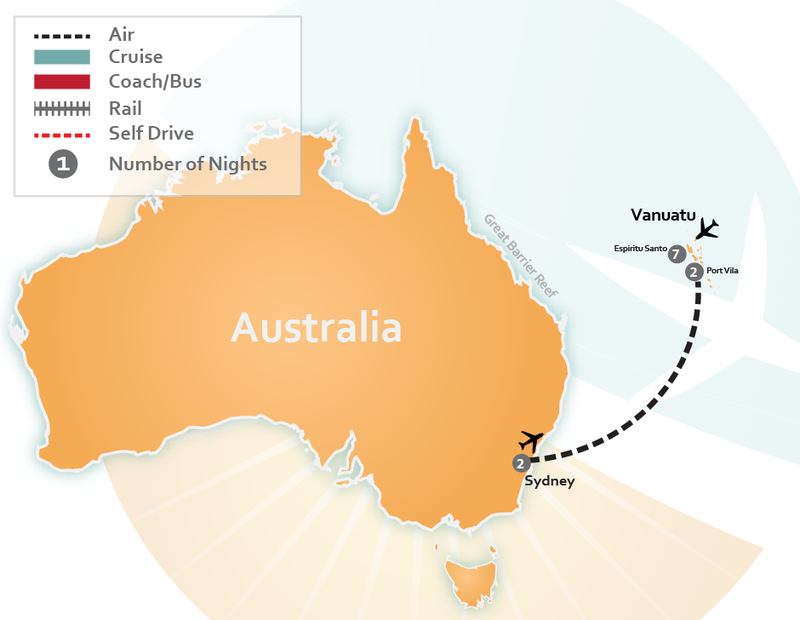 Let us recommend vacationing to Australia and Vanuatu. Here you can explore the unique wildlife, scuba dive the Great Barrier Reef, Jungle Surf through our lush rainforests and relax on pristine beaches. We have adventure and romance, modern and historic cultures, and some of the friendliest natives in the South Pacific. You can fly into one of Australia’s major cities like Sydney, Melbourne, Brisbane or Cairns to visit all of the iconic Aussie sites, and then take one of the Australian most famous trains, The Ghan, to travel out into the Outback and explore our rugged Red Center. When you’re ready to experience the serenity of island bliss, board a quick flight out to the tiny cluster of islands off the eastern coast of Australia known as Vanuatu. Known for its beautiful white beaches, amazing blue water and tropical rainforests, Vanuatu is truly a hidden treasure that you won’t want to miss. Plan to try snorkeling or scuba diving while you’re here because the waters surrounding Vanuatu are filled with wonderful marine life as well as dive wreck sites that are among some of the most famous sites in the world like SS President Coolidge. If you’ve ever wanted to vacation in Australia or Vanuatu, why not plan to visit both and make this trip a vacation of a lifetime! You can view the pre-made itineraries below or CLICK HERE to have one of our Expert Travel Agents prepare a custom travel package just of you.